Most home décor stores in the city offer you quirky, vintage and cool stuff to add some extra pizazz to your homes, but we found a store that does all this and more. Paro's Artville in Goregaon has gorgeous pieces that you can buy and is also home to a studio called The ArtSpace where they host all sorts of events. 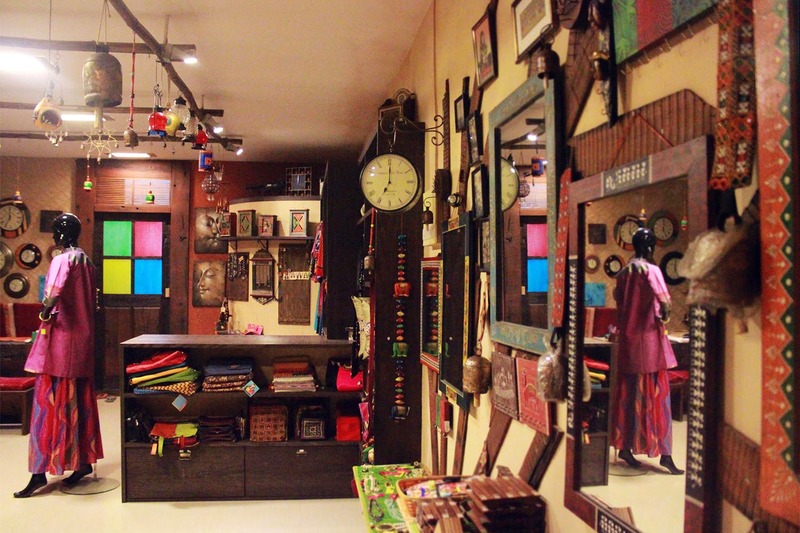 The small family-run home décor studio has a lot of local handicrafts to brighten up your home. They have quirky trays and wall pieces, bells, chimes, clocks, key holders, boxes, garments, jewellery, paintings, lamps and even footwear! So, while their home décor can start from INR 100, the products can go up to INR 4,000 too. What’s even more exciting is that the store, that doubles up as a studio, hosts events like open mics, yoga workshops, belly dancing classes, jewellery workshops and even band performances. The best bit? Entry is free of cost for a lot of them. The owners are super friendly, and will help you with what you need. In case you need a space to perform (if you’re part of a band) or want to conduct workshops, you know where to head – amidst some gorgeous local handicrafts at a studio that only believes in supporting and encouraging the arts.